Hot dogs – a staple summer treat that brings back memories of family cookouts and baseball games. It is an American favorite summertime food! 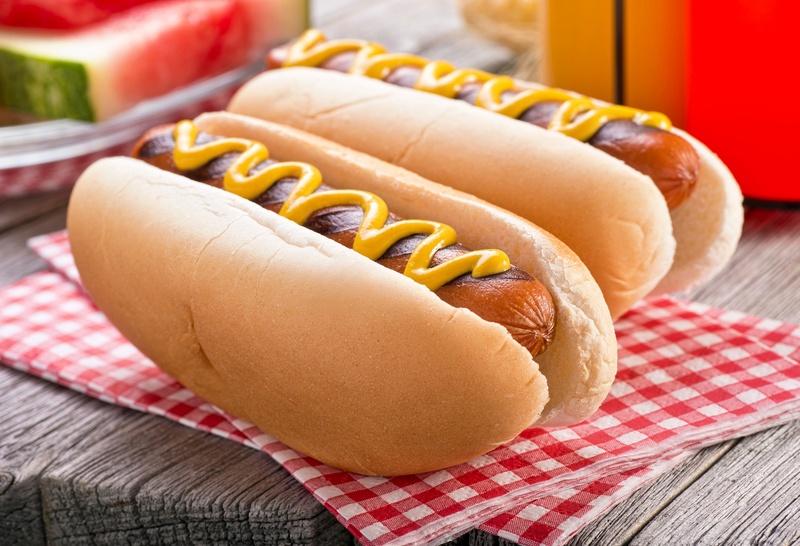 Hot dogs go through a series of complex processes that combine the ingredients into their delicious final form and Pfannenberg's PWS Air to Water Heat Exchangers are perfect to keep things running. The first step into creating one of the most loved foods is the preparation of the meat. The meat is cut into small pieces and is placed into a large mixer. These mixers have chopping blades to further cut the meat into smaller sizes. Here the raw ingredients and flavorings are added. All are mixed until the mixture is a smooth paste consistency. Processes like this can require large control panels to operate the system and Pfannenberg's PWS Air/Water Heat Exchangers are ideal for cooling your electrical components. Pfannenberg's Air/Water Heat Exchangers utilizes chilled water, that is readily available, and an internal fan to provide cool air to prevent critical electronics from overheating. The paste is always going through inspections throughout the entire process. After inspection from the mixer – the mix is moved into a stuffer. This machine will push the paste into tube casings. The casings are twisted at measured sections to make equally sized hot dogs. There are various casings – natural or artificial. The shaping of the hot dogs we all know is now complete. After the stuffing and linking, the hot dogs are then moved to a smokehouse to cook under controlled conditions. Manufacturers can control the temperature and the difference flavors that the smoking has on the hot dog by using difference smoke sources. Average time it takes in this step is an hour. Once the smoking is completed, the link casings are removed by an automatic peeler. During this time, the hot dogs are sprayed with water to help bring down their temperature. Then the hot dogs are then transported to be packaged. Before going into the final packaging, the hot dogs are inspected to make sure there are no foreign ingredients in the product. Pfannenberg has experience with inspection and x-ray equipment. Pfannenberg was able to combine a Chiller and PWS Air to Water Heat Exchanger to cool the x-ray tubes as well as the electrical enclosure as one example. 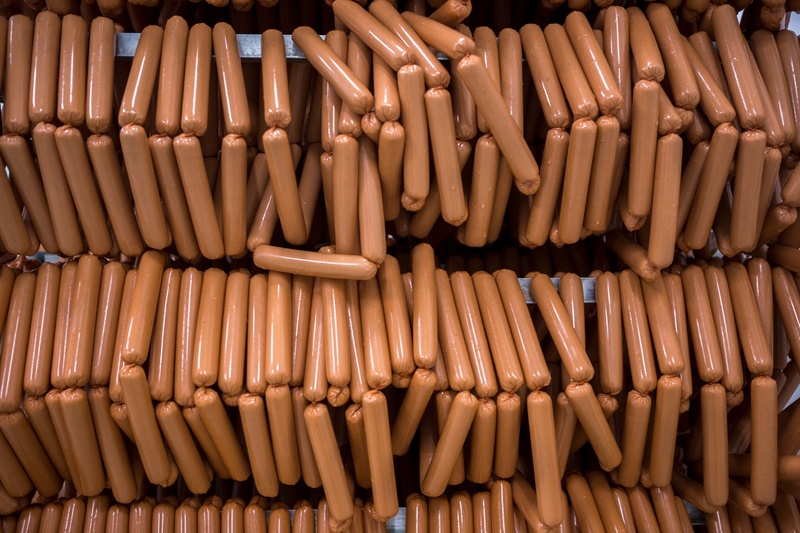 The packaging machines can process thousands of hot dogs in an hour. They are operating at very fast speeds and require proper thermal management cooling to keep their machines up-and-running. Once packaged, hot dogs are inspected again, freshness dates are added, and they are all boxed up to be transferred to the warehouse for refrigeration until they are shipped. The entire process from start to finish, only takes a few hours. 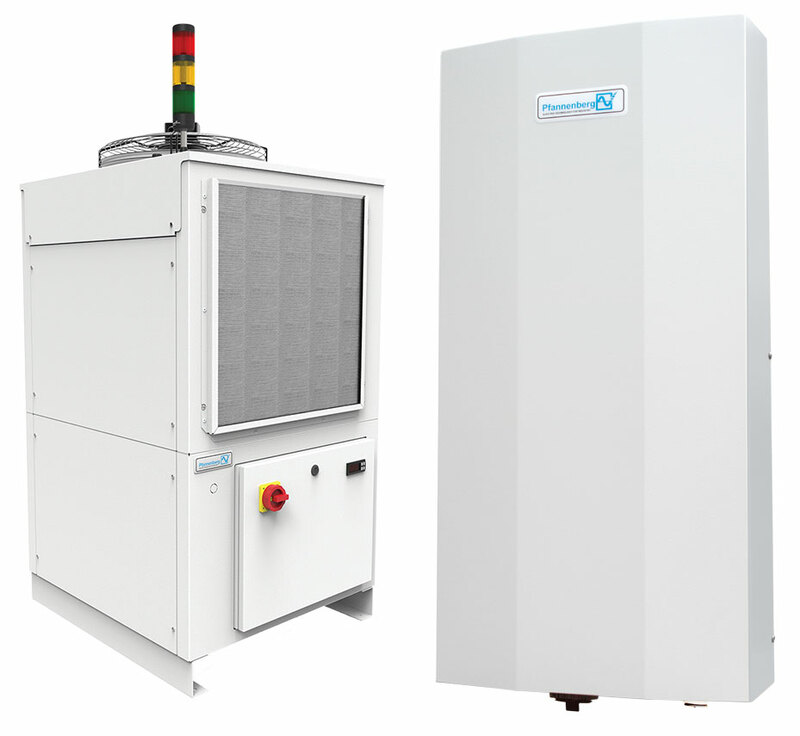 To read, "Chillers for X-Ray Machines - A Food & Beverage Success Story".